Hygood Sapphire™ Systems, using 3M™ Novec™ 1230 Fire Protection Fluid have emerged as the solution of choice for fire extinguishing systems to protect high value assets and processes. Sapphire is a clean agent system which is proven to be environmentally friendly. Today’s need is for a fast-extinguishing, sustainable, clean agent – free of any impact on the ozone and with the lowest possible emission of “greenhouse gases” – that can be used in occupied spaces. Fast acting Hygood Sapphire Protection Systems using Novec 1230 fluid are designed to work fast, rapidly absorbing heat to the point where combustion ceases. Once actuated, Hygood Sapphire systems deliver the extinguishant within 10 seconds, stopping fire before it has a chance to spread. 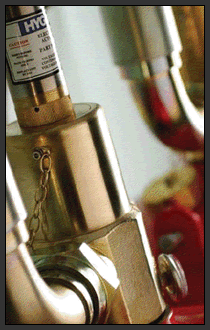 When fire is extinguished this quickly, the result is less damage, lower refurbishment costs and reduced downtime.